Showcase your business to potential clients with your own custom listing! 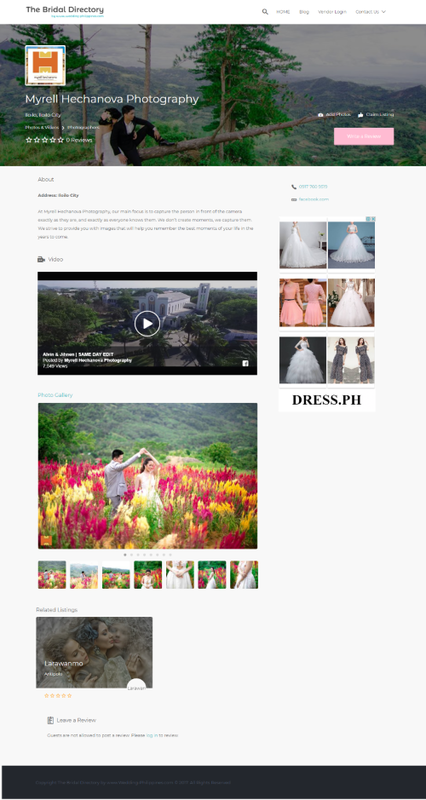 Wedding Philippines is visited by 100’s of Brides and Grooms everyday. Reach potential customers directly by advertising your business with our FREE basic business listing! Your business listing highlights your reputation and expertise by enabling you to add links to your website and social pages, to showcase your image gallery and show your promotional video all in one place. Get started with a free account by Submitting a Listing or Claiming an Existing Business Listing. QUESTIONS? CONTACT US. We’re here to answer any questions. Just send us an email and we’ll get in touch as soon as possible.